This week's discoveries: It’s raining meteorites! The dinosaurs went extinct when the earth was struck by a meteorite 65 million years ago. Recent research suggests that another meteor may have hit 10 million years later. Megan Fung and her team were looking for Foraminifera. 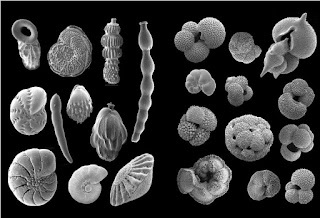 Foraminifera are the fossils of single celled microorganisms, often used for determining how old a particular layer in the soil is. They have calcium carbonate shells, which can reveal things such as the climate in particular time period. Fung and her team discovered something strange; they didn’t find any Foraminifera, or forams for short, when they were studying the soil by the coast of New Jersey. Instead, they found a whole bunch of small, black orbs. Can’t believe we missed that! 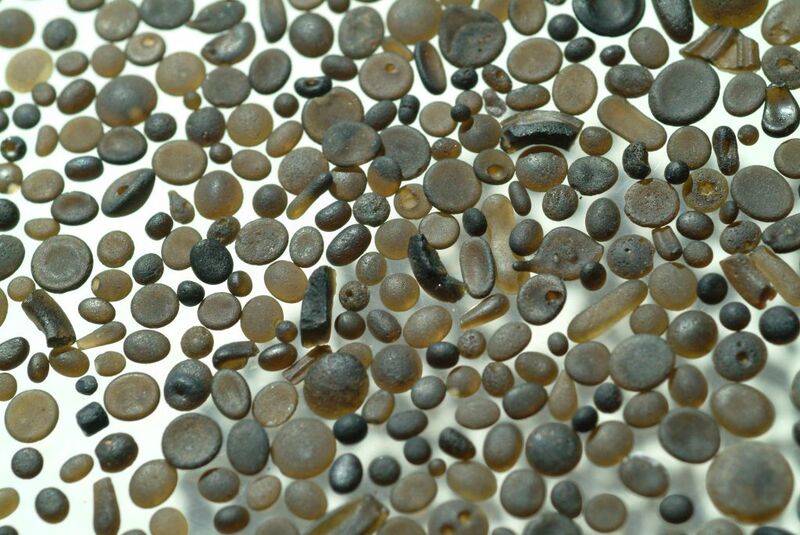 The spheres appeared to be a bit like glass, and the team quickly discovered that they had found microtektites. This is the debris that forms from the extreme heat and force of the impact of a meteorite on earth. What really surprised them though, were two things. First, the soil in which they discovered the spheres was extremely well-studied. Why hadn’t other scientists found the orbs yet? The answer is quite simple. 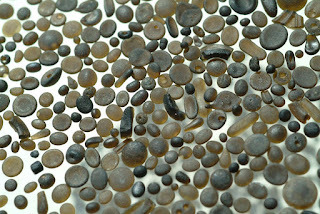 Foraminifera are usually white, thus they are gathered in black trays and scientists can easily see them stand out. Nobody noticed the microtektites because spheres are black, the same color as the tray. Second, Fung and her team found the microtektites in a layer that is only 56 million years old. It’s almost impossible that the spheres were formed by the meteorite that killed off the dinosaurs, since that event happened millennia ago. Another asteroid must have hit the earth 10 million years later. Conveniently, the impact also accounts for something scientists couldn’t explain, a change in climate that happened around the same time. Around 56 million years ago, the earth suddenly became extremely warm, warmer than it is now. Scientists were puzzled by this climate change for a long time. Now there finally seems to be an answer; it was a meteorite. Not everybody in the world of geology has accepted this explanation. One man, Jerry Dickens from the university of Houston has his doubts. “They have completely misinterpreted the data and missed the correct, and more cool, story.” he told Science. He believes that the microtektites were around throughout the whole warmer time period. He says the spheres disappeared in some layers of the soil because they got broken down by microorganisms that flourished in the warmer climate. This would mean the meteorite hit the Earth way earlier than Fung and her team proposed, and the meteorite and the hotter climate have nothing to do with each other. Either way, it’s an interesting discovery that will tell us more about the time period between us humans and the dinosaurs. Click here to read more about geography.